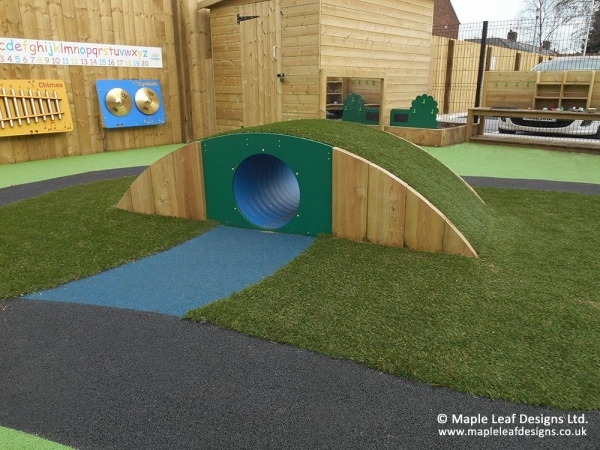 Mini Play Tunnel - Tunnels | Maple Leaf Designs Ltd.
Our Mini Tunnel Mound is the perfect crawling solution for small children and for areas of limited space. The integrated design ensures a sturdy and reliable structure for children to run over and crawl under, with timber stockade and HDPE sides. Can be crawled through and walked over.